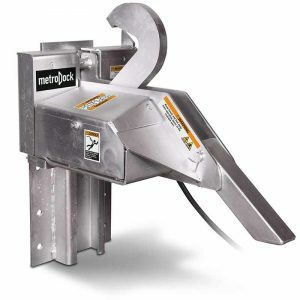 The Metro Dock Truck Restraint is a great addition for maximizing loading dock safety. It is designed to secure the truck to the building, preventing it from creeping or from leaving the loading dock area prematurely. 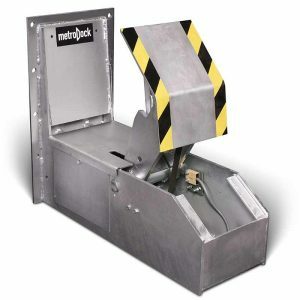 This electric powered restraint is an eco-friendly alternative to the Hydraulic system. A specially designed arm keeps the truck immobile at the loading dock.